Do you already tasted Estrelas de Figo? On All Saints’ Day, Mar d’Estórias learned the Algarvian tradition of making Estrelas de Figo (“fig and almond stars”) that are traditionally made around this time (1st November). In some parts of Portugal, on All Saints’ Day, children used to go out into the streets and joined in small groups to ask for Pão-por-Deus (bread from God) door to door; quite similar to the tradition of Halloween on the night before. These children then recited poems and in exchange received, among other things, the “stars of almond and fig”. 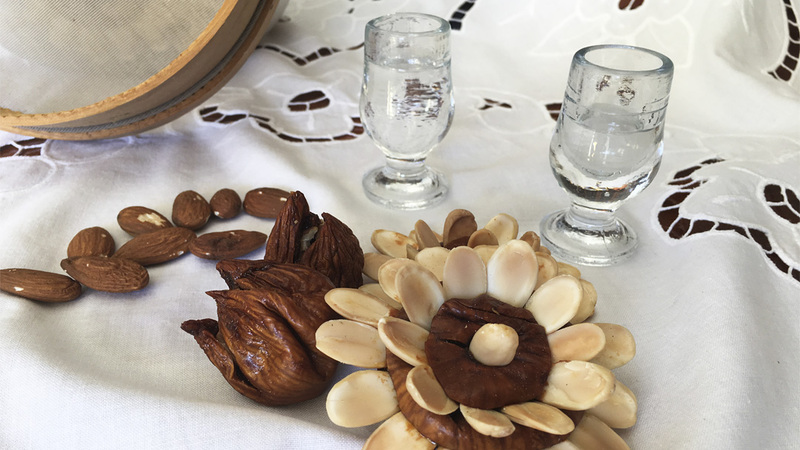 These “fig and almond stars” are nothing more than dry figs and almonds roasted in the oven, and they are ideal with a shot of medronho. It is with great proud and pleasure that Mar d’Estórias realized that the labor and work in the making of these sweets can only be equated with the love that people have in order to maintaining the tradition by producing these to friends and family. You may not have time to make your Estrelas de Figos, but you can always keep the tradition and come to Mar d’Estórias to buy them.